Since the executor of your estate is responsible for handling your financial affairs after you die, the court must determine if the executor named in the will is willing and able to perform those duties. If the named executor is unavailable, incapacitated or disqualified because of a conflict of interest or felony conviction, the court will name someone else to serve as executor. 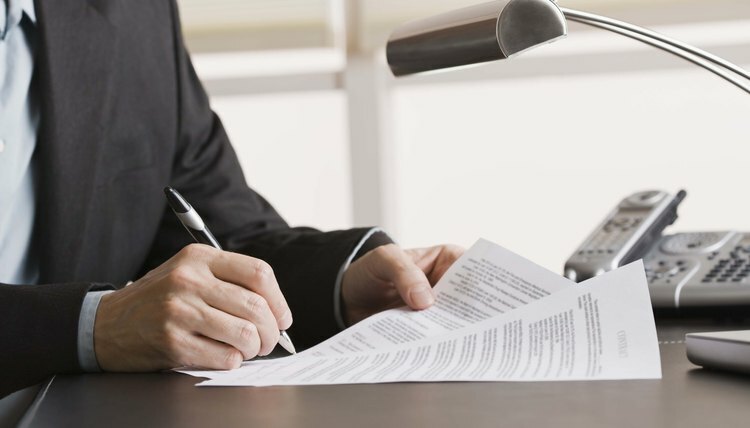 Procedurally, no one has authority to act on behalf of the estate until the court issues a document called "letters testamentary" that provides someone with authority to act as executor. Since you may write your will many years before your death, it is possible that the executor named in your will might die before you. In that type of situation, the court will determine if you have named any alternate executors or co-executors in your will. If so, the court will probably appoint one of those individuals unless all of them are unavailable because of death, incapacity or unwillingness to serve. If none of the alternates can be appointed, the court may consider other family members or a distinerested third party such as an attorney or an organization that handles estates professionally. If you have appointed two co-executors in your will and one of them dies during the probate process, the other co-executor may continue to serve by himself. If, on the other hand, a sole executor dies before concluding the estate, the judge may appoint a successor to handle the estate according to the instructions in your will. In the case of a successor executor, the lawyer for the deceased executor will be responsible for turning over the property and preparing an accounting of the estate. When you prepare your will, it is helpful to consider the age and health of the person you intend to name as your executor. If you choose your spouse or someone else close to your age, consider choosing an adult child as co-executor or successor executor to increase the likelihood that at least one named executor will survive you. You may also need to update your will later if one or more of your named executors dies during your lifetime. Unless your state's laws prohibit it, you might consider appointing an attorney, accountant or other professional as co-executor. FindLaw: What Happens if a Named Executor Is Unable or Unwilling to Serve? After you write your will -- or even after your death -- you, your beneficiaries, or even your chosen executor might decide that it’s best if she did not assume the job of probating your estate. You can transfer the responsibilities of the position by removing her from office and appointing someone else. Depending on when and why the change occurs, different procedures apply.